It 'a typical Sicilian delicacy that blend together the sweetness of honey and the unmistakable scent of Bronte pistachio. Great to enjoy with biscuits, tea and tè.In kitchen can be used to prepare and decorate desserts, such as the pistachio tarts. 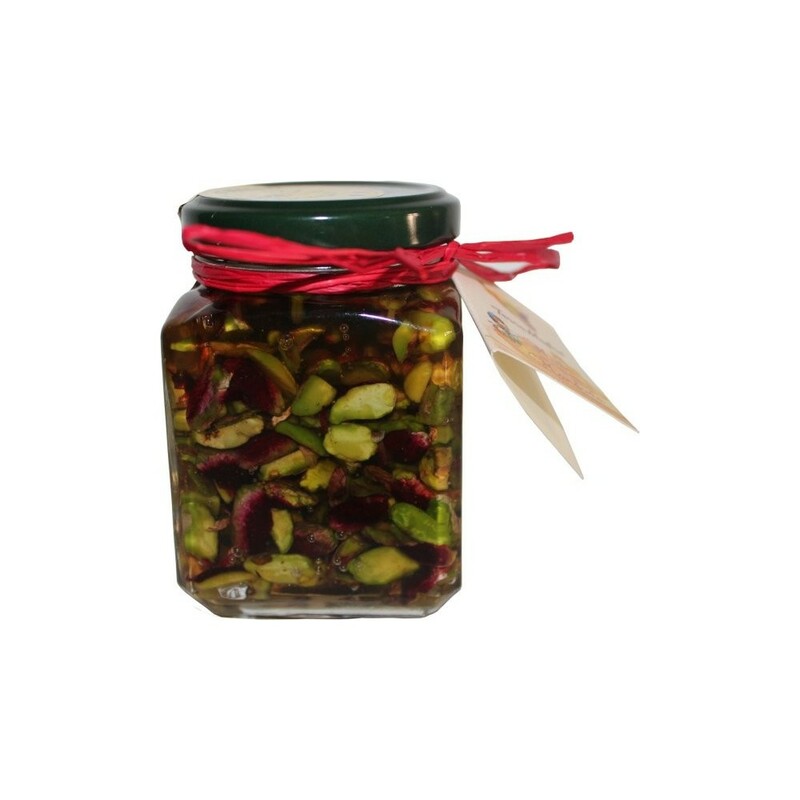 Ingredients: Honey 60% Pistachios of Bronte ​40%. It 'a typical Sicilian delicacy that blend together the sweetness of honey and the unmistakable scent of Bronte pistachio. Great to enjoy with biscuits, tea and tè. 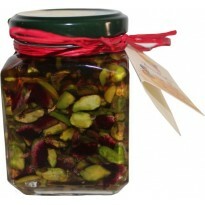 In kitchen can be used to prepare and decorate desserts, such as the pistachio tarts.